« Is Boredom Good For Kids? Lack of interest in math and poor basic math skills is worrying because according to studies done by UC Irvine Distinguished Professor of Education Greg Duncan, a child’s math skills at kindergarten entry are a better predictor of future academic success than reading skills, social skills, or the ability to focus. Math becomes a problem if children only associate it with something that is done only in school. 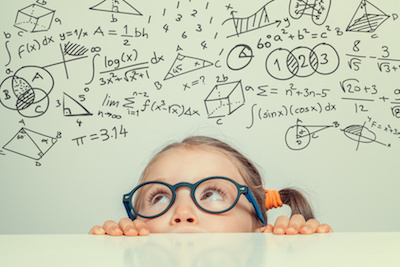 Your children might also think (just as you did when you were younger) that math is only useful to accountants or engineers or math professors. We need to give children the opportunity to discover math in their lives outside of school and make it real for them. To do this, you have to point it out to them in their daily lives. And if you want them to practice their math skills, you can start building Math into their daily activities. Here are 8 simple but effective ways for your children to practice math every day. How many hours or minutes are left before they can go out and play? How many minutes are left till midnight on Christmas Eve? How many more days to go before we go to the beach? Reading the clock and the calendar to compute for time is a good way to make math more accessible to your kids while at the same time, honing their skills. How about doing a countdown on your fridge till your next vacation? 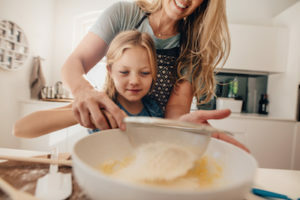 Baking with your children is another way to teach fractions, addition, multiplication, and subtraction. Baking involves measuring by 1, ½ and ¼ cup measurements, and so on. It’s not only a good bonding activity, it will also help your kids master their fractions. If you have older children, a more appropriate challenge would be to have them convert Metric measurements (commonly used in baking recipes) to US measurements. It would be impossible to determine who wins a game among friends without having basic math skills. Who jumped the rope the most number of times? Who swam the most number of laps? Who held their breath the longest in the water? Who did the most jumping jacks in a minute? 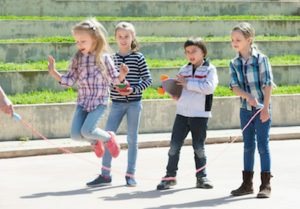 Your kids being involved in many games in their lives whether it’s at school, outside school or at home are perfect opportunities to practice their math skills. The next time your kids invite their friends over, trying having them prepare the snacks for their friends. 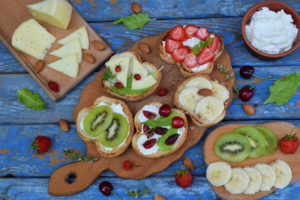 It’s not only about having a helping hand, this task involves estimating how many plates, glasses, and food items should be on the table to accommodate each friend. It’s not only about having a helping hand, this task involves estimating how many plates, glasses, and food items should be on the table to accommodate each friend. 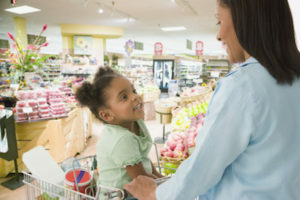 Taking your kids grocery shopping is another opportunity to practice their math skills. 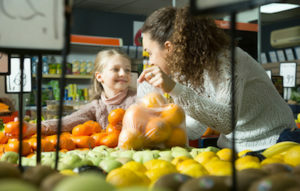 As you add items in your grocery cart, have your children compute the total amount of the groceries that are in the cart prior to check-out. You can also have a game going for which item would provide more value for money, is it brand 1 or brand 2? For older children, you can have them compute for percentages off and have them arrive at the right final price for items and how much is taken off the original price. Practice budgeting can also come into play when you do grocery shopping; also when you’re eating out or ordering something for take out. 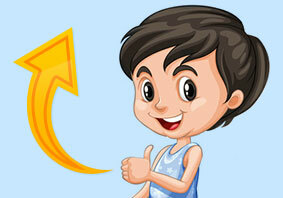 You can have your children take care of the budget for the chosen activity. This will practice their addition and subtraction skills when adding all items ordered and subtracting from total budget to make sure you don’t go overboard. 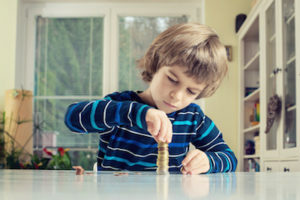 Giving your kids an allowance allows for the opportunity to teach them how to save. For example, if you give them a 20 dollar allowance every day, setting aside 5 dollars every day will save them how much in a month? That’s enough money to buy a new toy, new shoes, new clothes or new books at the end of every month. You can read more about the study by Greg Duncan here. All these things are pretty simple but very effective in helping your children practice their math. These will also help them appreciate the role that Math plays in their lives, and hopefully in time, the universe. This entry was posted on Thursday, July 20th, 2017 at 6:37 am	and is filed under Features. You can follow any responses to this entry through the RSS 2.0 feed. You can skip to the end and leave a response. Pinging is currently not allowed.